Moore, D. 2004. The Commons . London Velvet Press. 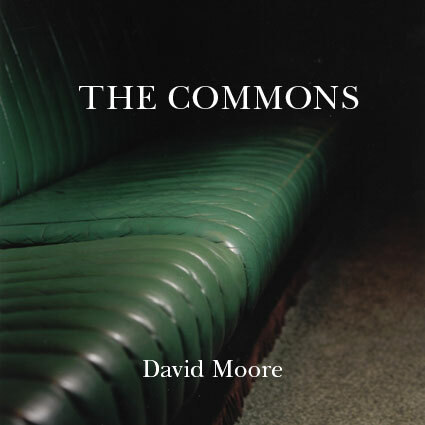 Over a three-year period, David Moore made repeated early morning visits to the chamber of the House of Commons, making photographs of unseen and overlooked areas and submitting this political environment to the scrutiny of the document. The Commons pursues archaeology of our most important debating chamber, exploring how an environment can act as a metaphor for wider societal issues. In doing so Moore creates an incisive survey of the epicentre of British politics. MOORE, D. and Val Williams Robin Christian (ed.) 2019. The Lisa and John Slideshow [Script] . London Makina Press. Lisa and John-Oh my Days! MOORE, D. 2018. Lisa and John-Oh my Days! Lisa and John- Look at Us! MOORE, D. 2018. Lisa and John- Look at Us! MOORE, D. 2017. The Lisa and John Slideshow. Moore, D. 2013. Pictures from the Real World, Colour Photographs 1987-88. London DewiLewis/Here Press. Moore, D. 2007. The Last Things. London Dewi Lewis. Moore, D. 1999. Seen and Magnified : Five Medway Towns . United Kingdom Medway Publications. Moore, D. 1994. The Velvet Arena. LONDON Velvet Press.